7th Consecutive Intervarsities Title for ULKC!!! 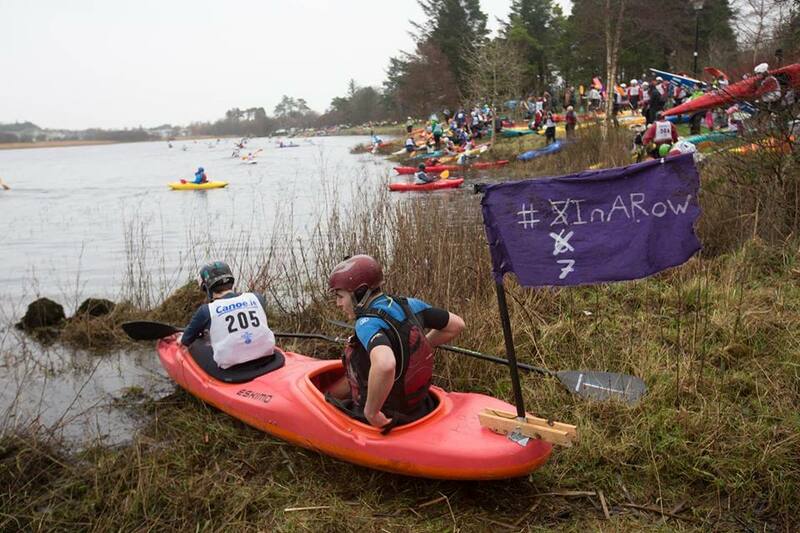 ULKC have matched NUIGs record for most consecutive Irish Kayak Intervarsity titles after winning their seventh title in a row on the 7th of February. 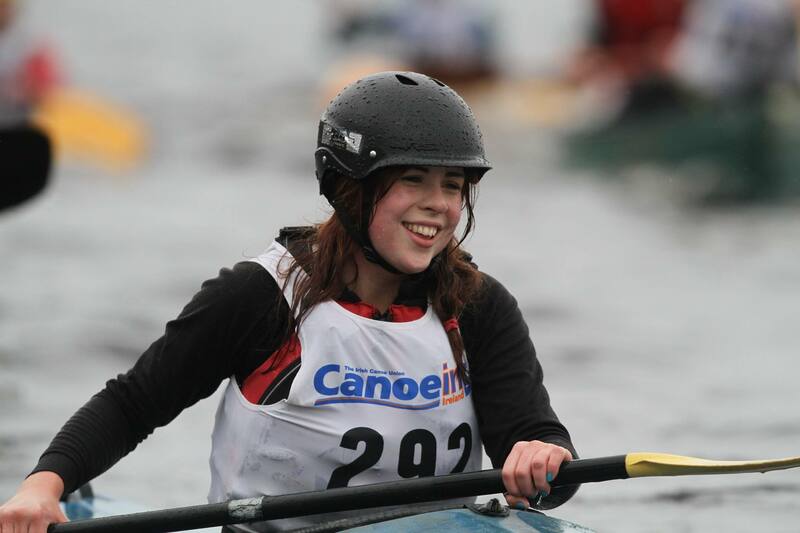 The weekend consisted of paddlers competing in five different disciplines of kayaking. 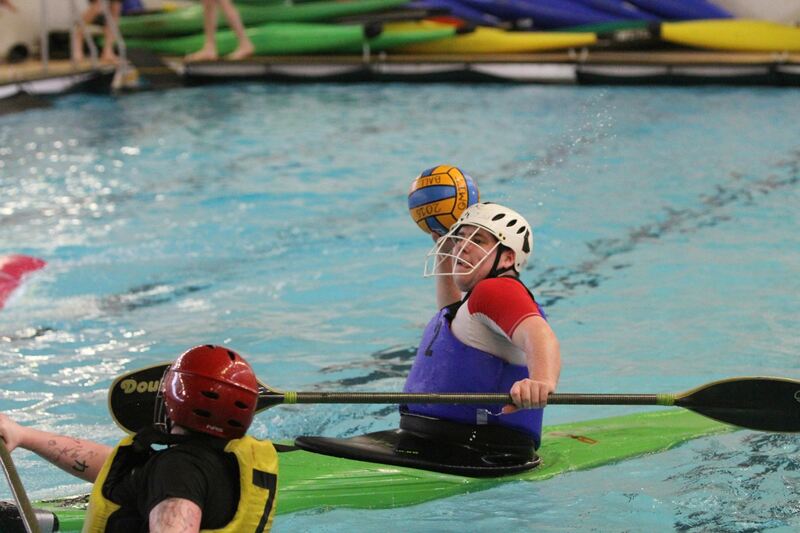 Canoe Polo kicked off the competition on the Friday morning. For those unfamiliar with the rules of Canoe Polo it’s a team event with 5 players on each side, it also has some similarities to hurling, rugby and soccer. UL had been seeded into the toughest group in the whole competition with Letterkenny IT, NUI Maynooth and DCU to play and get to the semi-finals. The DCU game was our first match and also the most important, in the past matches had been settled with only one goal in the difference. UL managed a huge upset victory against DCU along a massive score line of 10-2. That wasn’t the only score line ULKC dominated, Letterkenny and Maynooth were beaten 10-0 and 9-0 respectively. In the semi-finals UL faced an extremely strong and intimidating DIT team with a number of international paddlers in their ranks. After the first half UL were 6-1 down, a quick team talk at half time and a change in game plan meant UL were ready for war. Quick goals off the break brought the score line to 6-5. Some conservative play and timewasting by DIT meant that the final score was 7-5 to DIT. This loss was not all bad news though as we were still in the 3rd place playoff against NUIG. We decided before the match that we would play a team of only first and second years, which paid off as Conor Lowe shot two screamers past the NUIG goalkeeper. The score at fulltime was 2-1 to UL putting us third place in polo. The second event to take place on Friday was the flatwater slalom race, a short timed race course with a number of gates which must be correctly navigated. The super-quick UL slalom squad placed 3rd in this event. On Saturday morning groggy heads were woken to compete in the white-water event. The race is a timed sprint down a number of intense rapids. ULKCs representatives in this event were: Mark Scanlon, Caoimhe Farrell, Gavin Sheehan and Jack Phelan. Collectively they placed 1st in this event after a blistering run. 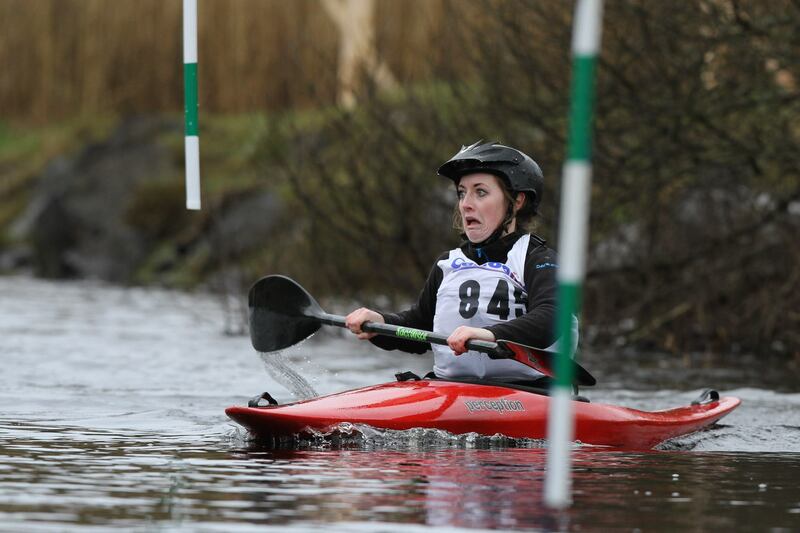 In the afternoon the freestyle event took place in Tuam, the conditions on the water were less than desirable. A piercingly cold wind and a lack of sunlight meant the competition was set to be a cold one. Freestyle kayaking is essentially trying to do a many tricks on river wave in a set time period, the harder a move is the more points it scores. UL had a solid crew consisting of Andrew Regan, Conor Lowe, Caoimhe Farrell and Eoin Keyes. The atmosphere along the river bank watching the competition was fantastic, UL were by far the loudest with their chanting and cheering whenever one of their paddlers completed a difficult move. UL came second in this event to NUIG, their experienced paddlers and knowledge of the feature made sure they were miles ahead of the competition. The Final event of the competition was the long-distance race, UL paddlers earned plenty of medals in their individual classes earning first place overall in long distance. Here’s a summary of this years January trip to Donegal written by one of our member’s, Joe Doyle. ULKC GO UP THE DUFF! On a fine, crisp winters morning the UL kayak club set off on yet another one of our notorious end of semester trips. 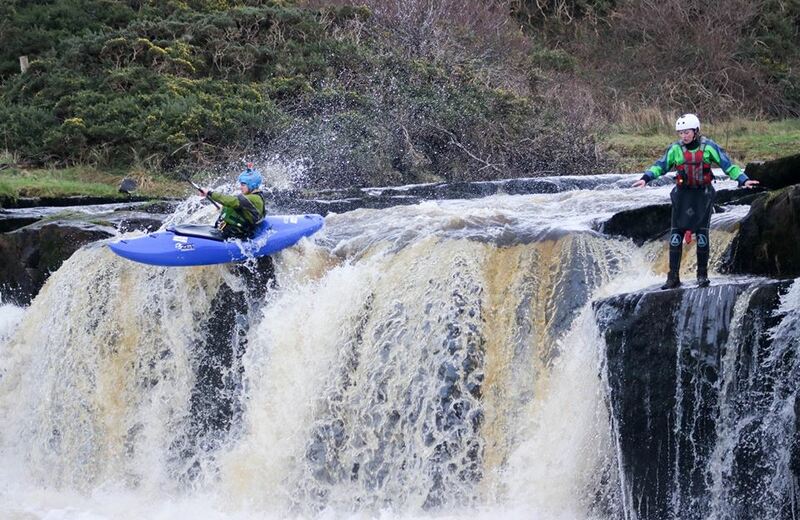 This year we went to Donegal for a week of intense kayaking and seeing a few sights around the north. January 16th we set off from the UL boathouse with a minibus and sprinter loaded up with some of the finest kayaks and kayakers ever to grace the university… Kind of. To kick start the journey we had to endure a 3 hour packing session that involved the essential spice bag break. 6:30pm we were off on the road eager to get at some of the rivers in Donegal. On the first day we took on the great ‘Duff’ river but thankfully in low levels of water as it becomes an entirely different river with a bit of rainfall in the surrounding areas. It was a short river requiring some skill and thought to take on. Thankfully we had some adrenaline hungry paddlers ready to get on at a moments notice. We hopped into our gear and got straight into our kayaks to take on the elements of the Duff. With twists and turns at every corner followed by three drops we soon found ourselves staring at the horizon line of a 13ft waterfall at the end of the river. Hearts beating out of our chests we paddled on straight towards it one by one (once the safety had been set up). Personally, coming up to the very edge I didn’t have time to think as soon as I could see the bottom I was already in the air charging on down towards the water. One brief moment of weightlessness and it was all over with screams of joy and encouragement coming from members of the club. It was an experience of a lifetime and not to be missed on future trips. The next day we decided we would give our new freshers a nice old river to hone their skills and develop as proper kayakers. Guided by one of the locals we set off for the ‘Fin’, a river located in Leitrim with an easy get on and a gentle start which was all too needed for a club of kayakers who got up at 8am for it. We spent the day paddling and going over the basics. A necessity for any kayaker if we wish to improve and climb the ranks. The next day we did the upper section of the river known by its really obvious name ‘The Upper Fin’. This river required some good skills and knowledge of how water flows which we had meticulously drilled into our freshers the day before so we were read to take on the challenge and were sailing on through with ease. This really brought up the comradery and spirit amongst the club to really see everyone improving. Of course this was followed by sandwiches and our daily trip to Aldi to ensure no paddler ever goes hungry! As someone who eats a lot I am forever grateful. Finally! Our rest day had arrived. To celebrate a day where we could finally relax we all hopped on a bus to see the Giant’s Causeway in the Northern Ireland and walk across a famous rope bridge near-by. Seeing the Giant’s Causeway really stuck with me as I just couldn’t get over how perfectly hexagonally shaped everything was without human interference. Truly a sight to behold and I would recommend it to anyone. Following this we made food and went to the only Decathlon in Ireland where we basically handed over our bank accounts in exchange for gear! We spent the rest of the trip paddling the ‘Duff’ at higher waters until we finally had to say goodbye to Donegal and prepare ourselves for the start of another amazing kayak filled semester!